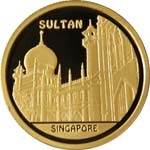 Date of issue: 31 July 2004. 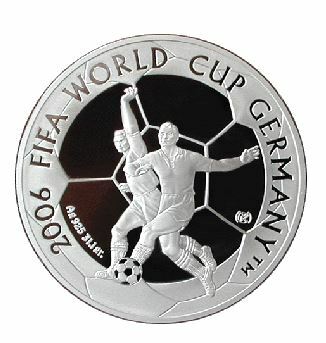 The coin is devoted to 2006 FIFA World Cup Germany. 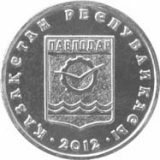 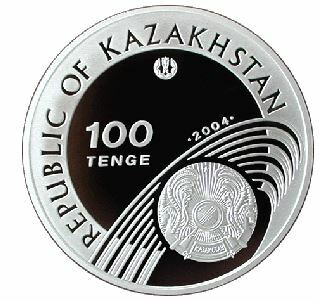 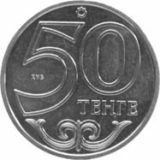 Averse: State Emblem of the Republic of Kazakhstan; “2004” means the year of coinage; the face value of the coin “100 TENGE”; National Bank of Kazakhstan logo; the legend “REPUBLIC OF KAZAKHSTAN”.